I'm celebrating this last summer holiday with a big 25% off sale at my etsy shop GrayDayStudio! 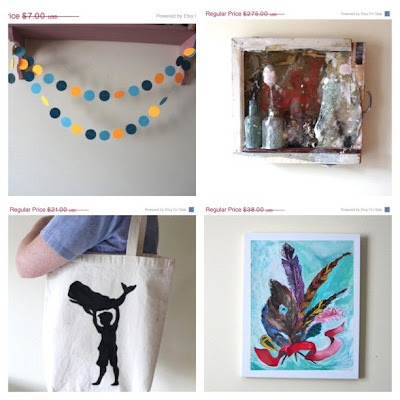 There are some real bargains at the shop, with canvas totes ranging from $15.75- $13! Plus my original artwork is now even more of a steal! Thus it's the perfect opportunity to stock up on gifts for others, or better yet a little something for yourself! A Love Letter to Summer... the last one of 2012? GrayDayStudio Shop Update: Sale & Fall Preview! 25% off Vacation Sale at GrayDayStudio!